Eddie Van Halen played the guitar solo on Michael Jackson‘s epic “Beat It,” and Bottle Boys impressively replicated it in their version of the classic pop song. I’ve never heard of Bottle Boys before this morning, but you can count me among their fans now. A meticulously researched book, Renoff quotes childhood friends of the band members who were able to recall those early days and describe the parties, and, more importantly, the music. 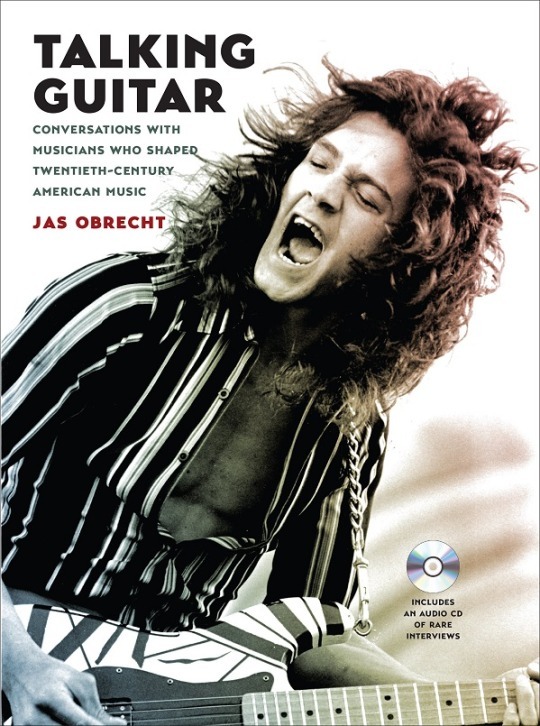 Renoff examines the influence of bands like Ten Years After and Cactus on Eddie and Alex, the impact of various cultures on Roth, and how they were able to merge those different styles into a popular style all their own. Such an extensive look at a band’s pre-fame days is rare. Renoff does a phenomenal job, and Van Halen fans all over the world will savor every word of Van Halen Rising. Learn more about ECW Press. 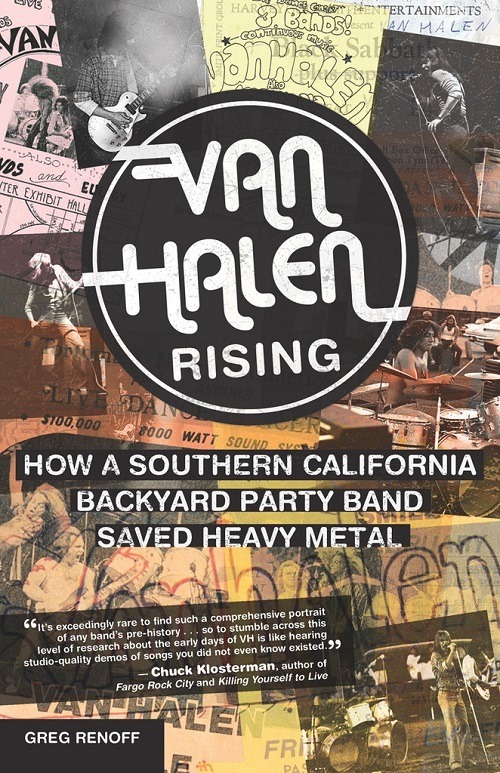 Purchase Van Halen Rising by Greg Renoff. The Night Owl raved last night about music trading cards. And he showed off some cards he received from a reader, some from the early 1990s and some from the late 1970s. I have a few music cards in my collection as well, but I don’t believe I own any of the early 1990s “Rock Cards” that Night Owl flaunted. While the card designs (if you want to call them designs) aren’t attractive, the subjects are perfect for headbangers. From Slaughter to Poison to Skid Row…I would have loved these cards back in the day. Forget “back in the day.” I would love these cards today. Though I would hope they could hire a better graphic designer. 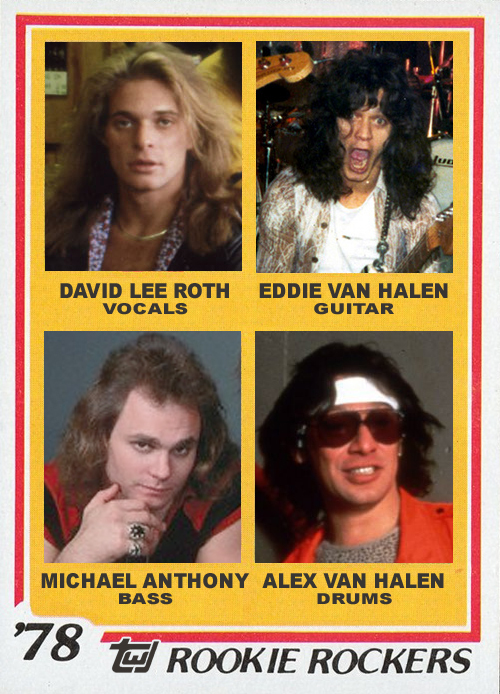 Van Halen’s first album was released in 1978, so I put the foursome’s mugshots on a 1978 Topps rookie card. This is the kind of set I would like to see, and maybe Topps can make it happen. Maybe they can sign some of my hair metal favorites to contracts and produces an Archives-style music trading card set. Members of Mötley Crüe on 1982-style cards, KISS on a 1974-style cards (like this), Winger on 1988-style cards. That’s a set I would collect.